We may be craving for more premium cake brands now but you can't deny that majority of us, the 80's and 90's babies, grew up with Goldilocks. 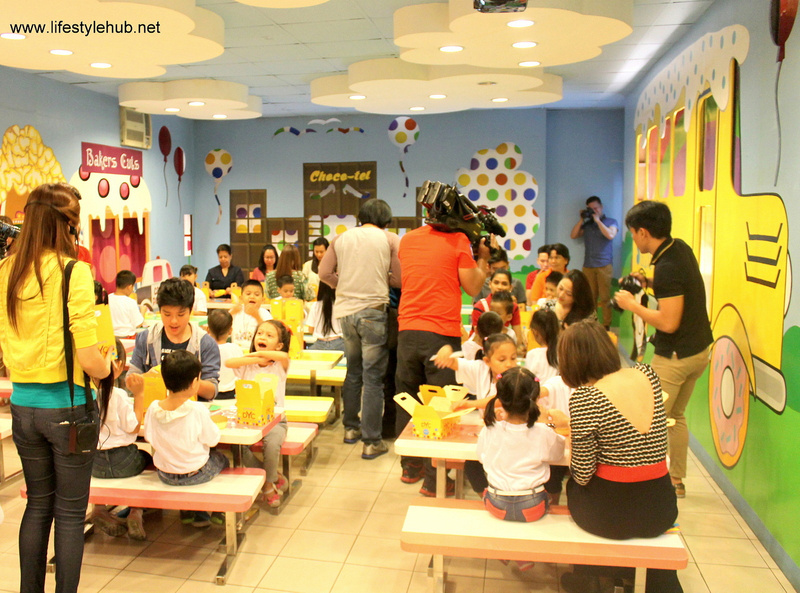 It's the first cake brand to ever play TV commercials and the first to build branches from Luzon to Mindanao. 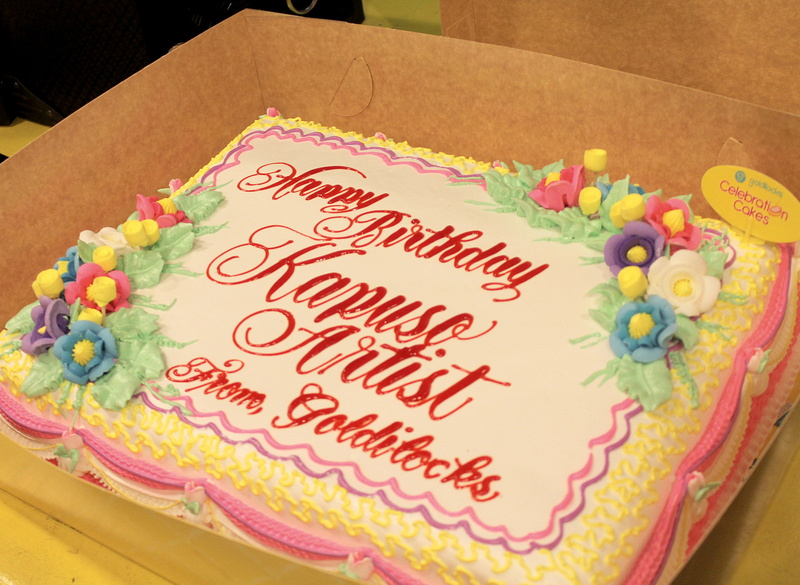 Scan your old photographs and you'll see a pic of a birthday greeting decorated on a Goldilocks cake. So, an invite to the cake plant of one of the Philippines' fast food giants is something that's exciting. Making it more exciting is the birthday celebration of five of GMA 7's new and young talents: Arkin Magalona, JM Reyes, Nicole Dulalia, Annicka Dolonius and Joanna Marie Tan. 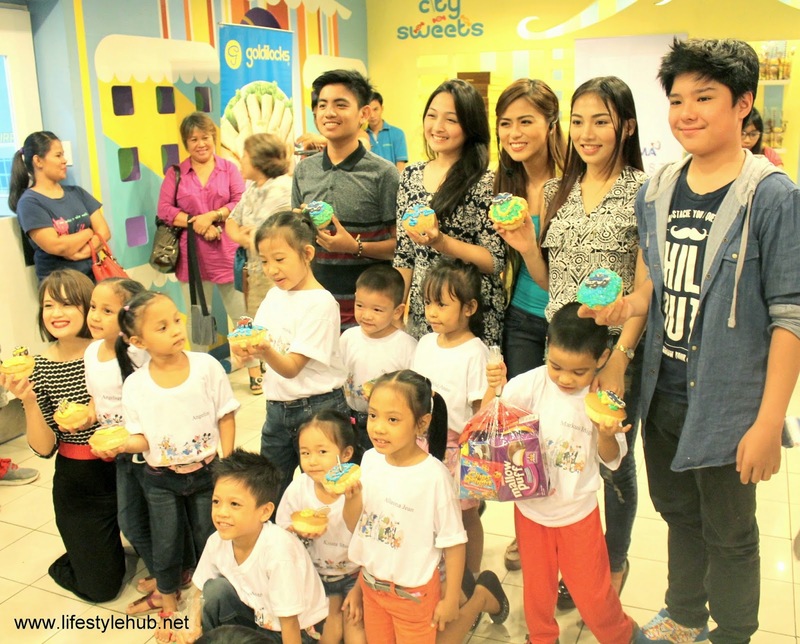 GMA Artist Center's October Birthday celebrants Annicka Dolonius (left most, kneeling), JM Reyes, Nicole Dulalia, Joanna Marie Tan and Arkin Magalona spent an afternoon with the kids of Assosacion de Damas de Filipinas at the Goldilocks Cake Plant in Shaw Blvd. 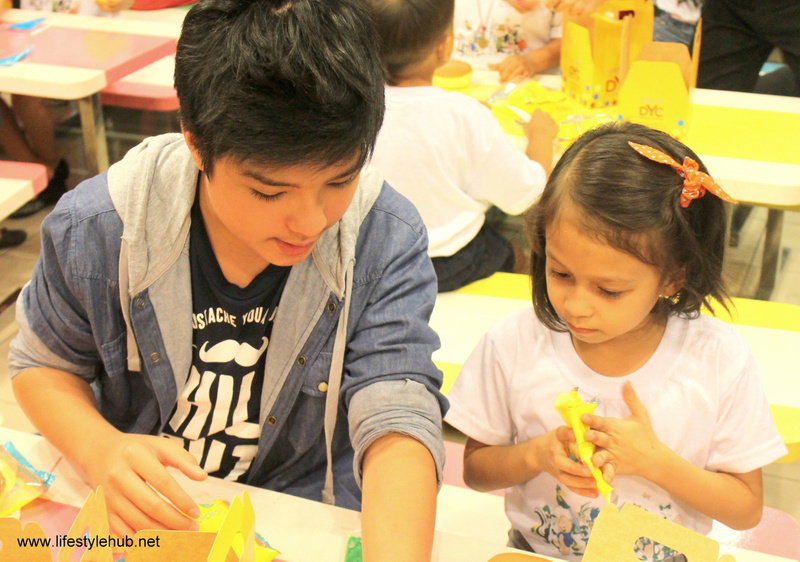 These young stars played games with the kids of Assosacion de Damas de Filipinas. 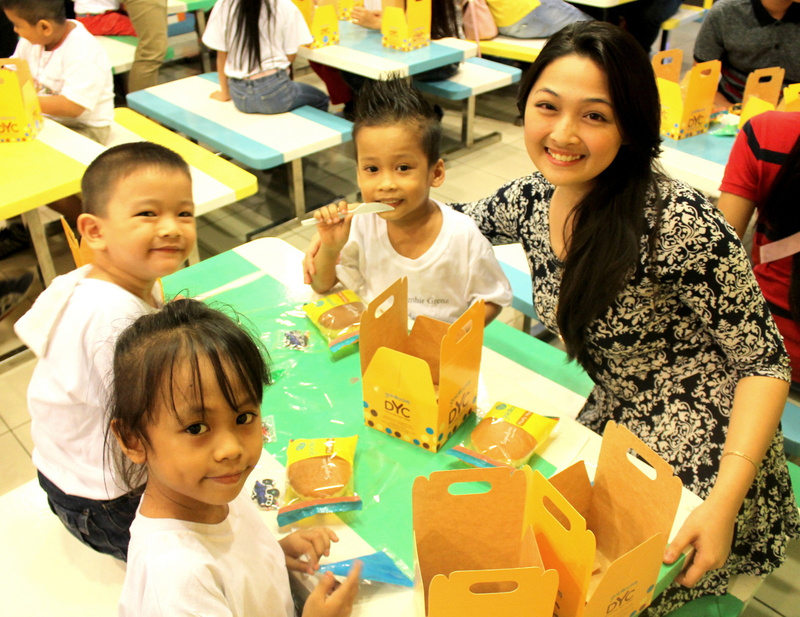 Not only did they share a good meal with the orphans, the celebrities interacted further with the kids by helping them design special Goldilocks mamons. 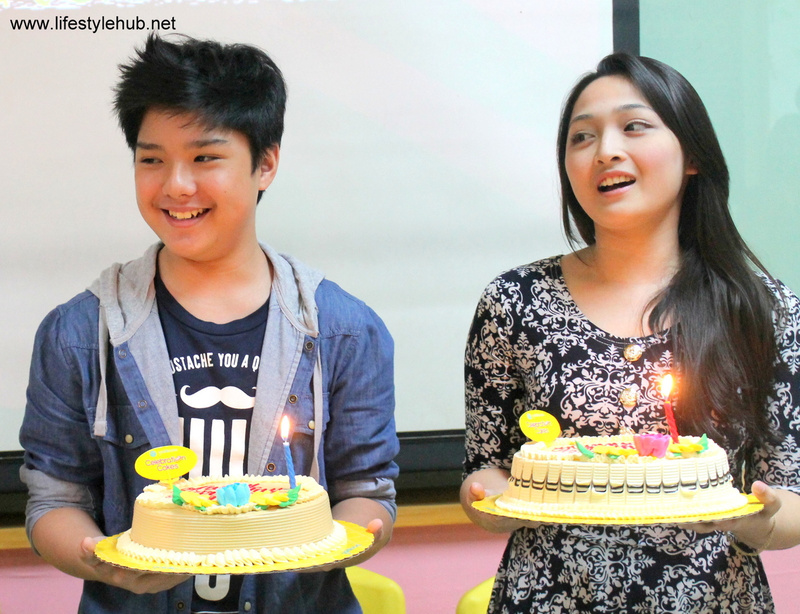 Arkin, the youngest of the Magalona kids, is part of the top-rating afternoon soap The Half Sisters. When asked for his birthday wish, Arkin could only hope for better lives for these kids. Starstruck Kids alumnus JM Reyes, on the other hand, is wishing for more acting projects in the Kapuso network. To recall, JM is Miguel Tanfelix and Bea Binene's batchmate in the reality artista search. Tanfelix and Binene are now both busy with their shows in GMA. The girls, on the other hand, are thankful for all the breaks. Joanna and Nicole are now in primetime via the soap Strawberry Lane. You might call these actresses as newcomers but with the faces we see repeatedly on primetime, it's always nice to see new people. Not to mention, Strawberry Lane is surprisingly winning over the Piolo Pascual-led Hawak-Kamay in ratings. This could be a sign that the viewers wants something refreshing. With Joanna Marie Tan and Nicole Dulalia in Strawberry Lane are Bea Binene, Kim Rodriguez, Joyce Ching, Jake Vargas, Kiko Estrada, Jeric Gonzales and Rita de Guzman. Annicka Dolonius, on the other hand, is a new addition to the GMA Artist Center roster and is still being groomed for hosting and musical projects. You will see her on the big screen soon via the Cinemalaya movie Ang Nawawala which will be screened commercially in the latter part of the year.